How do you view your work? Is it a paycheck, an obstacle to your real life, a source of anxiety, or just something you do because everyone else does it? Do you cherish the dream that your work could be a calling -- something that challenges you and makes you stronger and better? Something that gives you a deep sense of purpose? My work for the last three years has been full-time writer. Before that I was a teacher, a professor, a college president and a foundation executive. Those were my jobs. I was lucky because, though all of them were difficult, they were all rewarding. They all contributed to my growth as a person and as a leader. But my calling goes beyond any job I ever had. I learned that by spending the last three years writing a memoir about my childhood (Blush: A Mennonite Girl Meets the Glittering World). I'm a spiritual being having physical experiences. My calling is to turn those experiences into wisdom. I think all of us are called to do this, which means that all of us have the same opportunity to treat our jobs like the spiritual formation opportunities they are. 5. remember that every experience, no matter how painful or bitter now, can become a story that helps you grow wiser and maybe others also. Rituals: Whether you go to an office, a factory, or your own dining room table, your work is better when it has rhythm. Sometimes other people tell you what to do when. Sometimes no one does. But rituals you develop yourself should fit as much as possible the way you work best. Think of yourself as Willie Mays in the outfield or Isadora Duncan on the stage. Keep an image like those in your mind as you put together a plan for your perfect day at work. Mine is a huge sticky note hanging on the bookcase in front of my desk (I'll post a picture of it on my website at www.shirleyshowalter.com). I have not had many perfect days that follow the plan exactly, but that's okay. I'm still aiming for this kind of rhythm, and even if only part of my day achieves the goal, I am happy. Journal: Canadian writer Robertson Davies once told a group of young women graduates of a private girls school, in a much-anthologized commencement address, that they should spend time every day reflecting on their lives and writing their reflections down. I don't do that every day, but I have been writing down all sorts of reflections, from to-do lists to ecstatic passages written in moments of joy, to angry, sad, and confused sentences. In my teens and twenties, I wrote letters home from Virginia and Texas to my family in Pennsylvania, which served some of the same purpose. I like to select beautiful sentences in my reading and write them in my journal. Some of these have seeped down into my bones. They come out again, incorporated into my own DNA, in my writing. One of my mentors, coach Christine Kane, recommends a practice she calls the Sunday Summit. Review the past week. Celebrate the achievements. Evaluate the mistakes. Create a new list of the most important three things to accomplish. Focus on the feeling as much as the result. Mantra/Prayer: Most spiritual practices are designed to help us live in the present moment, something we apparently seldom do. So we need help to break in to each day. The rituals of meditation, exercise, eating mindfully, etc. mentioned above help. But so does a chosen phrase, selected in the beginning of the day and returned to over and over. Or at least once. :) If a mantra has not re-entered your day after an invitation to do so, gently reselect it the next day. And relax. It will come again. 1. Sit or stand in a dimly lit and quiet place. 3. With the help of your imagination find the place of the heart and stay there with attention. 4. Lead the mind from the head to the heart and say, "Lord Jesus Christ, have mercy on me," quietly with the lips or mentally, whichever is more convenient; say the prayer slowly and reverently. 5. As much as possible guard the attention of your mind and do not allow any thoughts to enter in. 6. Be patient and peaceful. 7. Be moderate in food, drink, and sleep. 8. Learn to love silence. 9. Read the Scriptures and the writings of the Fathers about prayer. 10. As much as possible avoid distracting occupations. Laughter: If we don't laugh at least a dozen times in a day, we start to ossify. I'm not a doctor, but I play one on TV – or on my blog. ;) Maybe you heard the stat that four-year-olds laugh 400 times a day and 40-year-olds laugh only four times a day. I have no idea whether those numbers are accurate, but they make a valid point whatever the real ones are. We all know how easy it is to lose a sense of humor as we age and how cleansing a good laugh is. How much it changes our perspective, especially when we are down, and how it connects us to each other. In my worldview, God is a spirit and loves to see us laugh and to laugh with us. How to make laughter part of your practice, even at work? Hang around with people who laugh a lot and who make others laugh, without belittling other people or groups. Funny books, poems, movies help a lot. So do kids. My grandson Owen made his first joke soon after he turned two. His mother asked him "what is this?" as she held up a blackberry. Owen said "A cow," and then he laughed and laughed. Story: this one is truly sacred and truly portable. We have the power to frame any experience into a narrative that heals rather than hurts. Nowhere is this most needed than in our work lives. Writing and rewriting our stories helps us persevere in the face of resistance by celebrating the shape of our souls that have been there from the very beginnings of our lives. In the movie "Chariots of Fire," the great English runner Eric Liddell told us he loved to run. "When I run," he said, "I feel God's pleasure." When we look at old photos of ourselves as children and when we remember what hurt us and made us feel joy long ago, we connect with a very deep healing power. I call this the power of memoir. You can just call it the power of story. You can use this power to test whether the work you are doing is work you are called to do. Does it give you the feeling of God's pleasure? If it doesn't, can you construct a story that brings God's pleasure into your work? If so, you have found the keys to the kingdom. 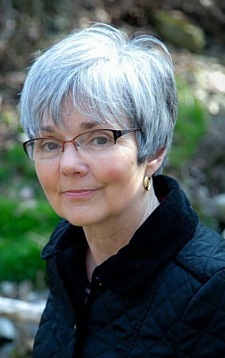 Shirley Hershey Showalter's memoir, Blush: A Mennonite Girl Meets the Glittering World, will be published in September. Read more from Shirley Hershey Showalter at her website.